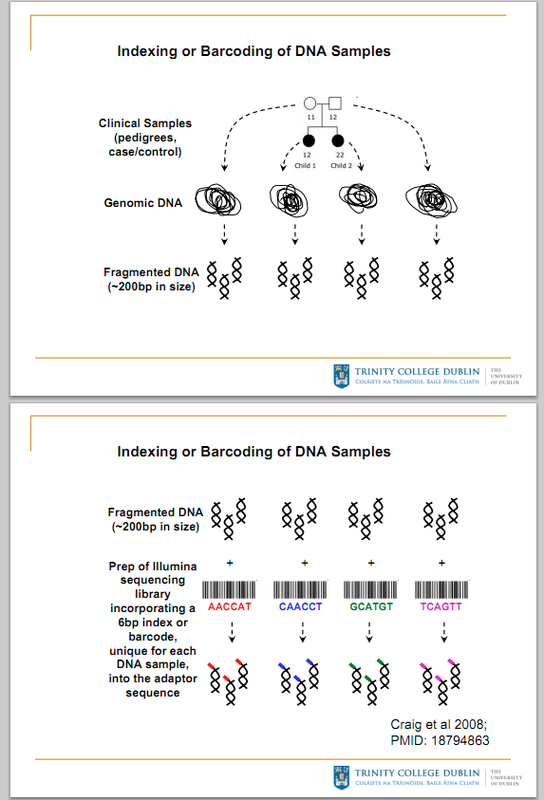 multiplexing: This term refers to the ability of sequencing multiple samples at the same time. For example, for small genome like yeast, C.elegant and drosophila, the number of reads generated in a sequencing unit (e.g. one of the 8 lanes in Illumina Genome Analyzer) may be several times of reads needed to provide a sufficient coverage of the genome. barcode/index: To distinguish the different samples in same run/lane, a short sequence, call barcode/index, is added to the front of adaptor ligated together to different samples during sample preparation. 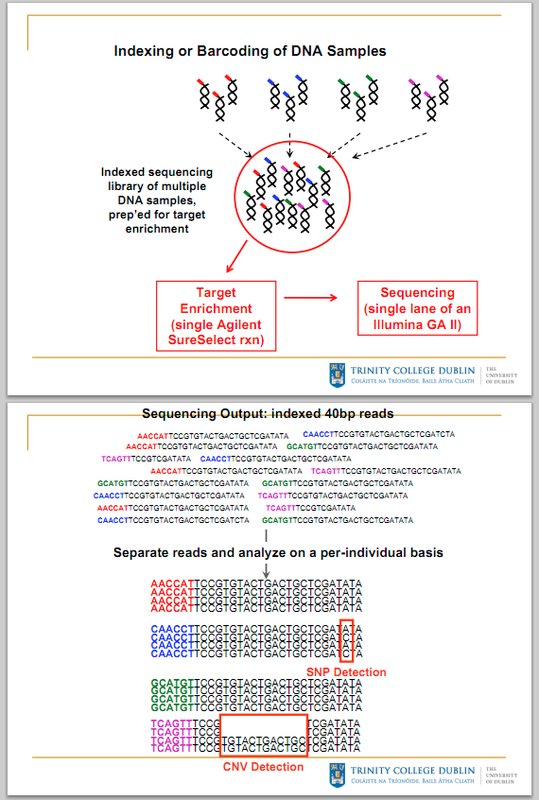 "This is generally added to the 3' end of the upstream adapter so that this is the first 4-6 bases read during the sequencing run, then you sort the data by these first bases into your groups. "(http://www.umassmed.edu/DeepSeq_FAQ.aspx).